PowerDrive for Electric Trucks | Cummins Inc. The Cummins PowerDrive offers an advanced portfolio of plug-in hybrid electric (PHEV) and fully-electric (EV) powertrain solutions spanning light, medium and heavy-duty trucks. Now you can discover the latest in electric vehicle technology with the reliability, support and service of Cummins. The Cummins PowerDrive EV is an all-electric system designed and engineered to fit conventional OEM chassis. The PowerDrive EV is available for a wide variety of class 4 through class 8 vehicles including light duty trucks, step vans, package delivery vehicles, utility trucks and port drayage trucks. The Cummins PowerDrive is an advanced hybrid system offering both parallel and series capabilities. 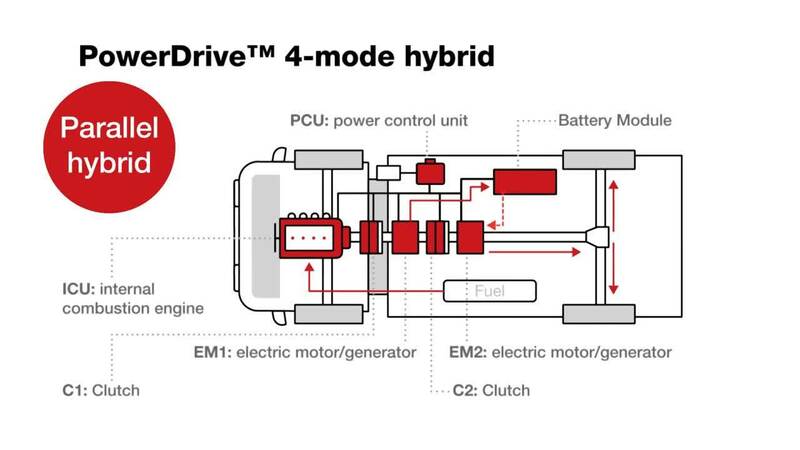 The PowerDrive replaces the conventional transmission and automatically switches between two hybrid and two pure electric modes, optimizing the powertrain for the best fuel economics in any driving situation. With the Cummins PowerDrive, you’ll increase efficiency and maximize vehicle performance.